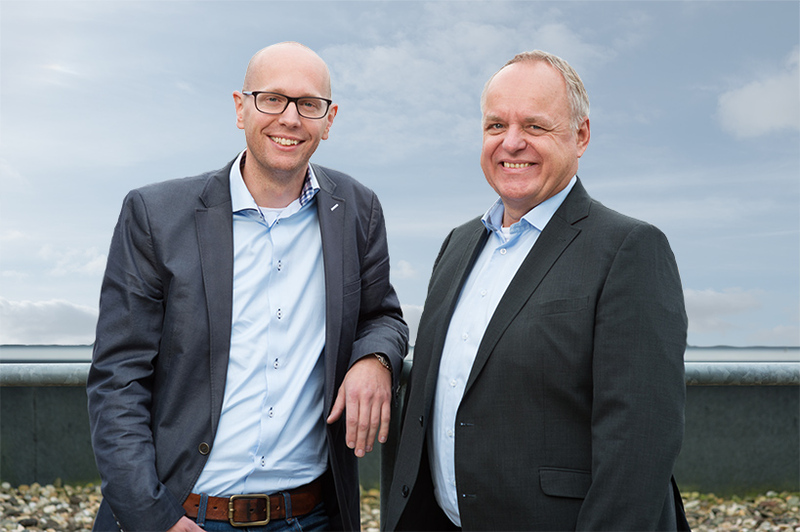 DOVIDEQ medical (DOVIDEQ) was founded in 2011 by Bert Dommerholt (right) and Menno de Braak (left). Bert has a lot of knowledge in the field- of video and image analysis, measuring techniques and light spectrum analysis. He also worked at Philips Medical Systems for 17 years where he, as a Support Engineer, occupied himself with X-radiation, MRI and ultrasound projects. Menno has a background in IT and worked at the ministry of Defense for many years and with organisations including Brainforce, Capgemini and Rijkswaterstaat. or which (rigid) endoscopes are used. Unfortunately a lot of hospitals suffer from defective endoscopes, which results in delays during surgery but also creates a higher risk for the patient. It is therefore essential that defects are recognised before usage of the endoscope in the operating room to minimalise critical consequences. To make this possible, systemic objective testing of endoscopes is essential. DOVIDEQ has, in cooperation with UMC Utrecht and St. Jansdal hospital, developed the ScopeControl, a device that measures the quality of (rigid) endoscopes in a simple way and objectively assesses whether an endoscope can be used in the operating room. DOVIDEQ also developed the DoviSCAN, a DataMatrix that reads codes on medical instruments and can be used for Track & Trace purposes or other forms of instrument registration. The DoviSCAN is aimed at the same market but has sales opportunities outside of the medical sector as well. DOVIDEQ has distributors in Belgium, Great Britain, Portugal, Canada, Taiwan/China and the Middle East. In 2016 the number of distributors will be extended further to Germany, Italy, Scandinavia, the US & Japan. Multiple ScopeControl’s were supplied to leading hospitals. The DoviSCAN has been active in the commercial market since November 2014 and in the meantime a fair number have been supplied. A Cloud environment is being developed in which the measurement registrations of all endoscopes will be saved. This makes it possible to compare quality and usage of endoscopes. The goal is to become a leading player in the field of control and optimal usage of endoscopes within 5 years. DOVIDEQ collaborates with various specialised companies in Germany and the Netherlands that together produce the parts and hardware for the ScopeControl. Menno is responsible for the development and design of the ScopeControl and other products and services of DOVIDEQ. In this, he is supported by his team in Deventer. As CEO, Bert also manages the commercial team. Bert: "With the investment we can reach the international market faster, while at the same time benefiting from all wider knowledge." Bert: “The investment of KIKK Capital (fund: ZIF) ensures that we are able to fulfil our ambition of becoming a big player in this area."